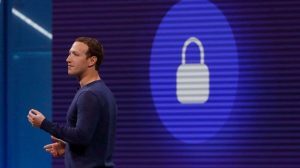 Facebook CEO Mark Zuckerberg published a post today (March 6) outlining what he calls a “privacy-focused vision for social networking.” That sounds nice, until you realize that his definition of “privacy” is… confusing. I understand that many people don’t think Facebook can or would even want to build this kind of privacy-focused platform—because frankly we don’t currently have a strong reputation for building privacy protective services, and we’ve historically focused on tools for more open sharing. But we’ve repeatedly shown that we can evolve to build the services that people really want, including in private messaging and stories. I believe the future of communication will increasingly shift to private, encrypted services where people can be confident what they say to each other stays secure and their messages and content won’t stick around forever. The post neglects to mention that a “private” Facebook is not mutually exclusive with one that is bad on “privacy,” as Zuckerberg freely admits the company has been historically. Having photos disappear after a month doesn’t mean Facebook won’t use photos of you to train its facial-recognition algorithms. Implementing end-to-end encryption does not mean Facebook won’t use all kinds of other data sources to create a highly individualized profile of you and monetize it by selling targeted ads. I believe we should be working towards a world where people can speak privately and live freely knowing that their information will only be seen by who they want to see it and won’t all stick around forever. But if Zuckerberg’s definition of “privacy” has nothing to say about ad targeting or empowering users to determine what happens to their data, that sentiment becomes “their information will only be seen by who they want to see it—and also Facebook.” After all, this is coming from the same company that, when users gave it their phone numbers for two-factor login, used those numbers for ad targeting. Zuckerberg is a smart guy, and he surely knows the difference between “private” and “privacy.” The fact that he is willingly not making this distinction is telling. Turmeric benefits: Are the health rumors true?